Test our Business plan 30 days free. No strings attached. We have sent you an email where you can activate your account. Create your own poll designs with a custom color scheme and logo. The designs can be assigned to each poll individually. All your associated Business accounts automatically have access to your designs. Add and remove business users at any time. Extend the business status for all your connected users from a central location with one invoicing. 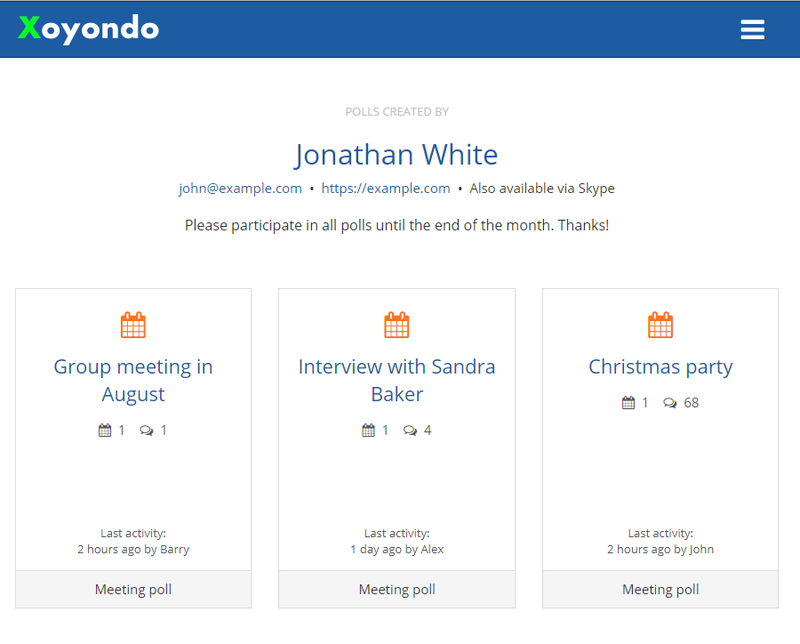 Polls that you create are ad free for you and your participants, even if they don't have a Xoyondo account. Contact us via email, Facebook or Twitter! We are happy to help.